Unless you run entirely on a remote model, your business will need premises where people can work, have meetings, and achieve your company’s goals. Of course, that means what your office space is actually like matters too. In fact, it may be the case that your office space isn’t currently good enough and is harming the efficacy and success of your company. Luckily, if you read the points below, you can find out the reasons why, and what you can do to rectify them. Light, humans need it to be able to work, but not all form are created equal. In fact, offices that lack a natural light source can be particularly problematic because they can lead to issues such as eye strain, and even more general fatigue. With that in mind, it’s pretty essential that you pay attention to the amount of light that any office you are considering buying or renting has before you sign on the dotted line. Although, it may be possible to install skylights or light tunnels if you buy the property outright. Do remember though, that while a wealth of natural light can be great for morale and productivity, it can also be problematic if it makes the space too hot, or cannot be effectively reduced when the need arises. To that end, an office with plenty of natural light, but one that also has reflective films at the windows, or easily accessible blind is usually the right choice. It’s not customised for functionality. Next, your office space may be letting you down because it requires you to use a particular and fixed layout. Of course, this can be problematic because the layout that is prescribed may not be the one that promotes the best use of the space, or the best functionality for what it’s being used for. Luckily, it is possible to get around this problem by using module furniture that is easy to reconfigure when necessary. Of course, for this to work, you will also need to install things like these Burland floor socket outlets too. The reason being that then you can set up your computers and other necessary hardware exactly where you need them, rather than where the wall outlet dictates. Now, you don’t want all of our employees to be crammed into a small space like sardines, but you don’t want a vast cavernous space either. This is because the larger an office is, the more difficult it is to control the condition and temperature to everyone’s liking. In fact, just heating a sizable office can raise the price of your business’s overheads and cost you a fortune. Additionally, ample office spaces tend to lend themselves to an open plan layout, and while this can look super stylish with the right placement and decor, they aren’t actually that conducive to efficacy at work or morale. 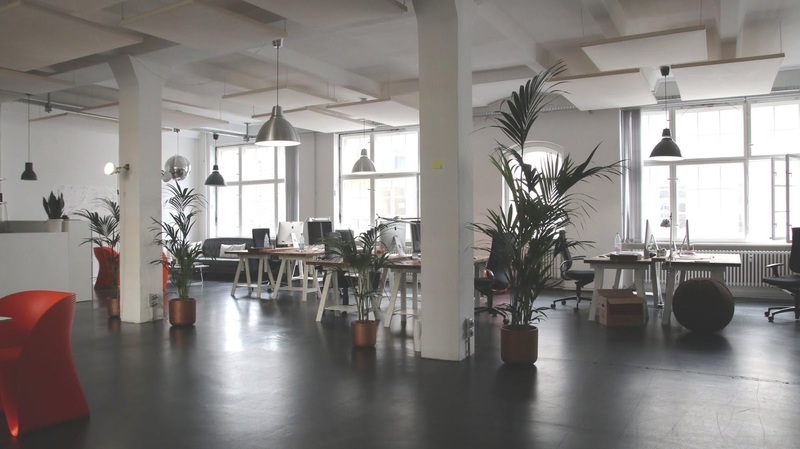 An open plan office may look great, but it might not be the rest for your business. To that end, a complex of multiple smaller offices may be a much better choice that one large loft or conversion style build.